Bill has had a genetic lung disease called Alpha 1 Antitrypsin Deficiency his entire life. The symptoms did not begin to affect Bill until 1998, but the diagnosis was not made until 2001. Emphysema, caused by Alpha 1, has severely damaged his lungs along with often recurring bouts of bronchitis. Bill contacted an Alpha 1 specialist in Charleston, SC and followed up with him yearly – leading him in 2012 to pursue an experimental treatment in Germany. Unfortunately for Bill, this treatment was not successful. In 2016, his health began to rapidly decline. Bill and his doctors agreed that his only chance for improvement was a lung transplant. Luckily, last week he was accepted into the lung transplant program at Duke University Hospital. Bill and his wife will soon relocate to Durham for an extended time period. Family members and friends are committed to seeing him through his transplant journey. Transplants are life-saving, but can be financially draining. Even with insurance there will be high expenses including relocation for six months to be closer to Duke University Hospital, post-transplant medications up to $1,200/month, co-pays, lab fees, and more. This presents a challenge that Bill and his family cannot meet alone. 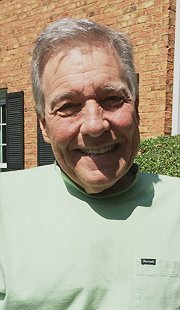 To help with the financial burden of the uninsured expenses, a fundraising campaign has been established in honor of Bill Bingham with Help Hope Live, a trusted nonprofit organization that has been providing community-based fundraising guidance to help patients and families in need for more than 30 years. All donations are tax-deductible to the full extent allowed by law and are held by Help Hope Live in the Southeast Lung Transplant Fund in honor of Bill Bingham. Donations are allocated by Help Hope Live based on financial need for medical expenses. Please consider making a donation today. Thank you in advance for your prayers, support, and generosity. Hey Bill and Beverly. Thom and I continue to pray for you as you make this journey to restore your health. You've got this! AND, you've got our Heavenly Father who is guiding your doctors while giving you strength every day. AND, much love and big hugs to you and Beverly. So much love and prayers are going your way! We are with you every step of the way! Bill and Beverly, We are with you all the way!! Never has our high school phrase "And, how are you doing," meant more. Lots of love. Really. Lots. Warren and I are praying hard for strength for you and Beverly and great success. We love you both! Sending muchos love and prayers. Bill, I will pray each day that you get from this venture the best it has to offer. More importantly my wife, Judi will be praying as well. In the two years or so that I have known you, I have come to love and respect you as I do few others. May all the best God has to grant come your way.